Check out our human and doggie team members. Do you want to see flyball or possibly take a class? All you will need to find a nearby tournament and classes. Lotsa, lotsa pictures and even some video. Kaotic K9's is a Canine Sports Club dedicated to the enhancement of the bond between a dog and his handler. This bond is created and enhanced in this club throughflyball. We also proudly boast the membership of a few Superdogs in our midst. 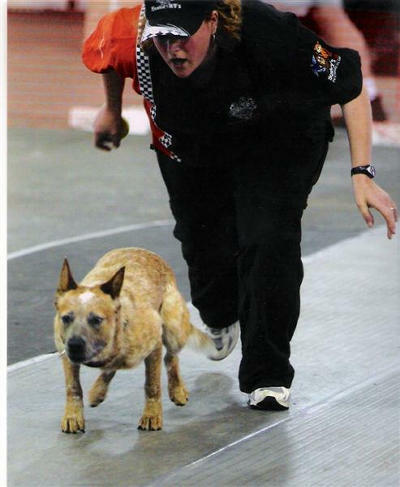 The Kaotic K9 club is an international flyball club with members from British Columbia and Oregon.